As has been suggested by our previous articles, gluten-intolerance is quite prevalent in the American and European populations. So, why is it so rarely diagnosed? This presentation of symptoms results in difficulty for the physician to diagnose the disease as gluten-intolerance. The widely available, and most commonly used tests for gluten-intolerance and celiac disease are not very accurate (3, 4). Most commonly, an antigliadin antibody (AGA) serological test is used, (look at our article: “What is Gliadin“). However, this test is less sensitive and less specific than an EMA and hTTG test, both which test for Tissue Transglutaminase, the enzyme responsible for gluten digestion. Therefore, many physicians may miss diagnosis because they use a less sensitive, less reliable test for gluten-intolerance. The final, confirmatory test for celiac disease is an intestinal biopsy to look for villi atrophy. However, this is rarely done. In an Archives for Internal Medicine Report, physicians and insurance companies denied an intestinal biopsy in 21% of positive EMA patients, claiming the costs were not justified with the symptoms (1). Beyond this, pathologists have difficulty recognizing early symptoms in an intestinal biopsy (5), and the majority of patients will not show full villi atropy, causing pathologists not to recognize the disease. Therefore, many patients are not diagnosed even through full testing. This might indicate a lack of understand as to the magnitude of the problem, as well as little understanding as to the magnitude of the consequences of delayed diagnosis. 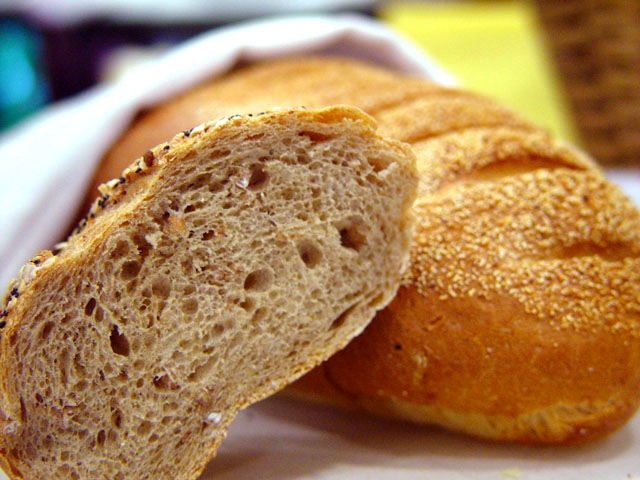 Most celiac patients are not diagnosed in the early stages of gluten-intolerance. In fact, on average, celiac patients have symptoms 11 years before diagnosis (8). Late diagnosis of gluten-intolerance can result in severe illness for the individual. Delayed diagnosis of gluten-intolerance results in higher levels of autoimmune disease (6). Also, osteopenia and osteoporosis are linked to long-term gluten exposure (7). The need for early diagnosis is clear. Gluten-intolerance is rarely diagnosed because of a misunderstanding by physicians as to the prevalence or severity of the disease. This delay in diagnosis creates intense problems for the patient associated with long-term gluten exposure. If you feel symptoms occurring reminiscent of the described signs of inflammation, the editors of Food Understood recommend removing grains from the diet, and to consult a physician with this matter. 2. Gluten Intolerance, Celiac Disease, and Extra-Intestinal Symptoms.